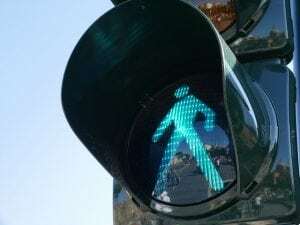 Harlem, NY (March 23, 2019) – Around 10:00 p.m. last night, March 22nd, a hit-and-run pedestrian accident took place that led to the fatality of one woman. The woman was allegedly trying to become a professional artist and lost her life in the blink of an eye in a serious accident. The woman was identified as 26-year-old Erica Imbasciani, who stepped out on the curb along Amsterdam Avenue, near West 141st Street. A black GMC came breezing through the area, plowing into her. Imbasciani was crushed between the GMC and another parked vehicle. The driver who struck her, Tyrik Cooper, sped away from the scene. Imbsciani allegedly endured massive trauma to her entire body. Cooper continued onward and ended up slamming into an SUV that was waiting at a stop light. Meanwhile, Imbasciani was taken to the hospital and died due to her serious injuries while there. Police were able to confirm that Cooper was on drugs and arrested him a short while later. He received a variety of charges, including vehicular manslaughter and leaving the scene of the accident. The circumstances of this accident remain under investigation. We would like to take this time to extend our most heartfelt condolences to the loved ones of Erica Imbasciani. It can be incredibly difficult and life-altering to lose a loved one so unexpectedly and we want you to know that, if someone you know was involved in a fatal car accident, you have a wide variety of rights when it comes to bringing your wrongful death claim in New York. Our wrongful death attorneys at Hach & Rose have dedicated their lives to helping those who have fallen victim to serious accidents. If you and your family have suffered the most extensive damages by having to say goodbye to a loved one, we want you to know that you are not alone. Please contact us to get started on your case at 212-779-0057.